Fall is my favorite time of the year! I love harvest, watching the leaves turn and the start of sweatshirt weather! I had the best of intentions on posting this sooner but this time of year is super busy for farmers. We are getting really close to being done with harvest! Can I get a woot, woot! For those of you that may not live on a farm harvest means 18+ hour days for my hubby, running meals back and forth to the field and lots of rides in the combine! There’s something about the fall that makes me long to spend hours in the kitchen cooking and baking up lots of fabulous things! I love fall theme cookbooks! cookbook is broken into seven different chapters. Good morning sunshine! 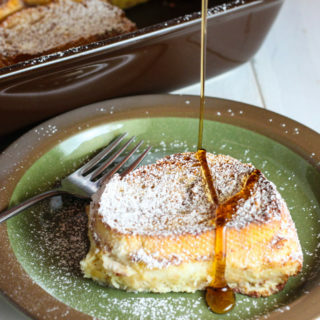 This chapter is packed full of awesome breakfast recipes. 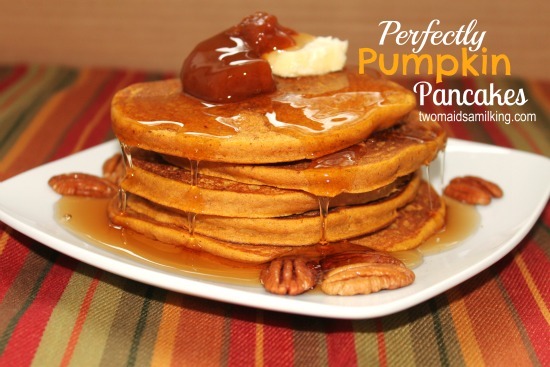 It includes recipes I had to make like Perfectly Pumpkin Pancakes, I can’t wait to try the Banana Stuffed French Toast and also includes other great sweet and savory recipes. 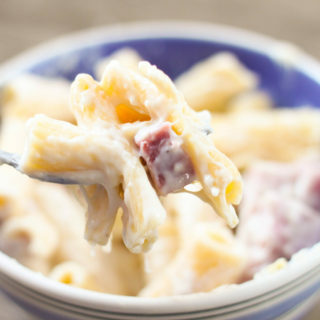 This chapter is full of soup, salad, sandwich and even some sweet treat recipes. 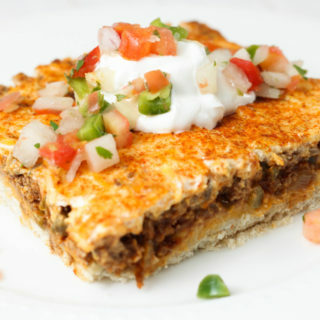 These recipes will be a hit at your next get-together! All of your favorite traditional Thanksgiving dishes are included in this chapter with recipes for turkey, ham, sweet potatoes, corn casserole, green bean bake and more! There are also some non-traditional (well at least for us) that would be fun to make and mix things up a little bit! Snack mixes, dips, sliders and everything else you would need for a game day party is included in this chapter! Go team! I love Gooseberry Patch recipes because they are submitted by people like you and me and often contain small stories. 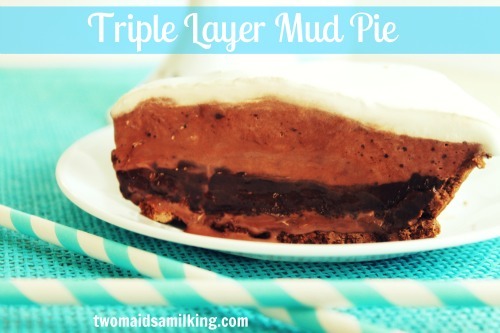 The story is what drew me to the Triple Layer Mud Pie and the recipe didn’t disappoint! There are lots of fall flavor desserts in this chapter that all sound wonderful! I love slow-cooker recipes! There is a good mix of recipes that would fit in to all the above categories. The Apple Pie Oatmeal caught my attention! This section is filled with stories and memories about fall, Halloween and Thanksgiving. Giveaway: The awesome people at Gooseberry Patch sent a copy of this cookbook for me to giveaway! 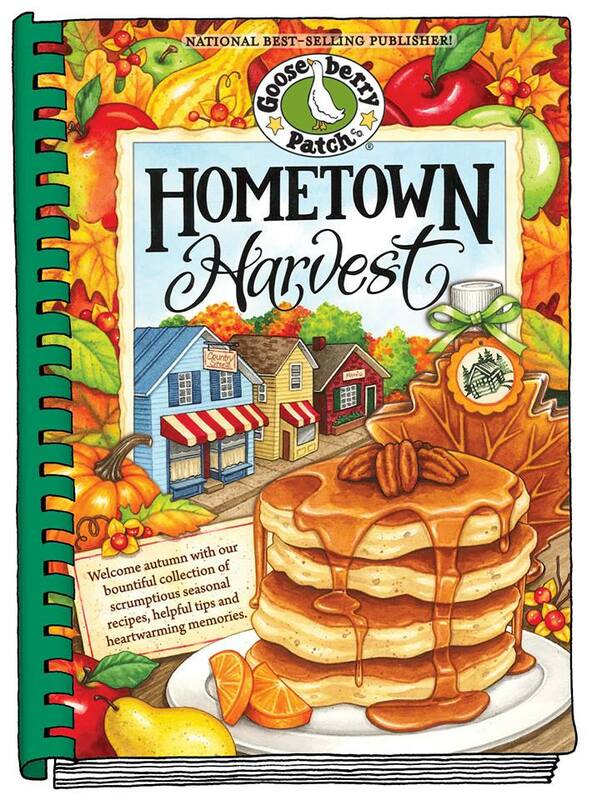 Leave a comment letting us know your favorite harvest recipe! You must leave an email address you can be reached at. I enjoy making pumpkin rolls during the fall season. I have many requests for them when I attend different events that are going on during this busy time. I have been known to make 8 at a time!! I guess I make pumpkin bread more than anything. My oldest son and his oldest son LOVE it. I have never had a Gooseberry Patch cookbook. My own favorite is my apple pie and butterhorns. My favorite harvest recipes are pecan pie (I have a recipe I’ve used for years! ), and anything pumpkin! I love making my mom’s “Fresh Apple Cake”. It’s a moist bundt cake full of apples and pecans with a lemon glaze. So good! Congratulations you are the winner! Please email your address to liz@kelsayfarms.com. If I don’t hear from you by 12/5 I will need to pick a new winner. Thanks! I love making pumpkin bars. Thanks for the chance to enter.